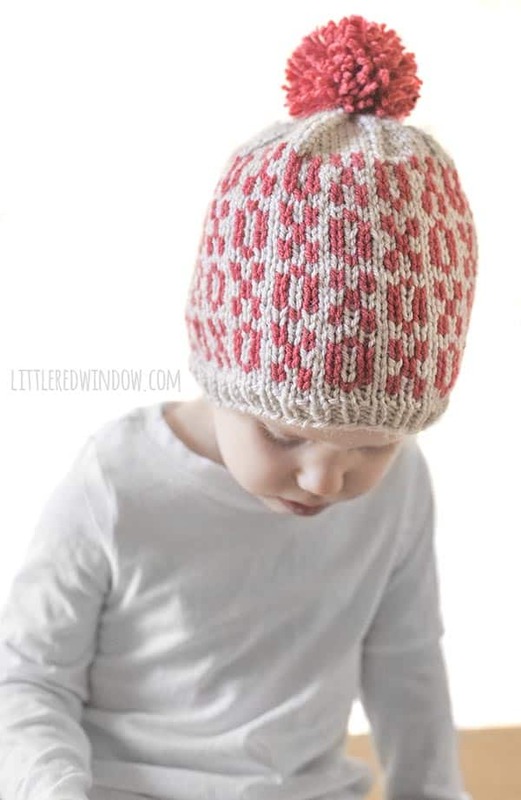 This adorable Valentine Tic Tac Toe Hat knitting pattern has an all-over pattern of X’s and O’s, it’s perfect for Valentine’s Day and includes instructions for sizes from newborn to baby to toddler! 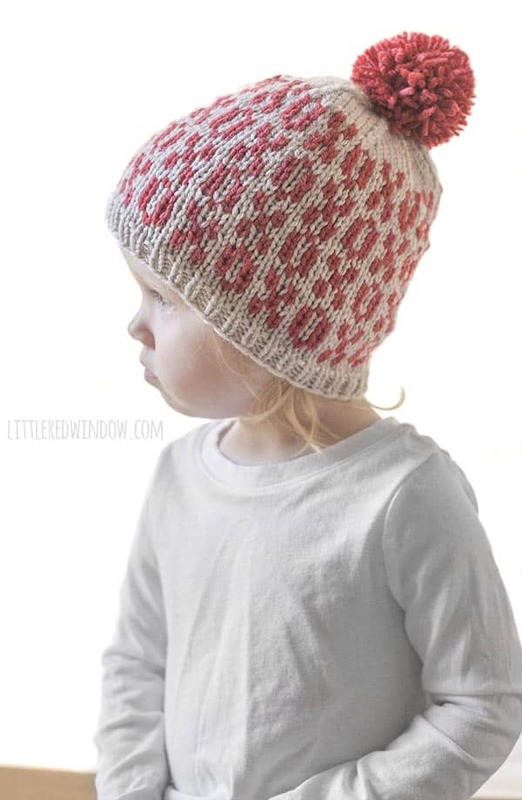 One of my very first fair isle or stranded knitting patterns was the Valentine Hugs & Kisses hat. I still love that one. 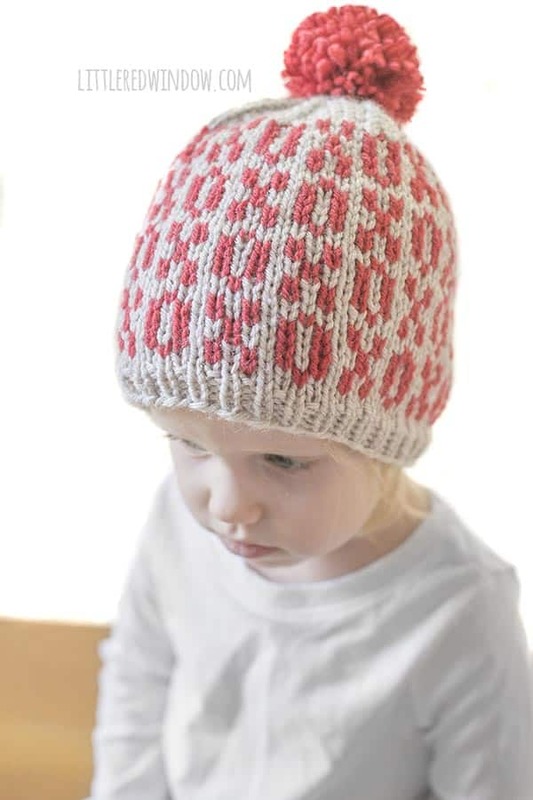 And this year, I thought it would be fun to do an all-over X’s and O’s pattern and the Tic Tac Toe Hat knitting pattern was born! O is actually really into playing tic tac toe, especially while we’re waiting at restaurants. And I remember loving playing it when I was a kid, do you? But as an adult, I’ve realized, as soon as your child is older than maybe 5 or 6 and understands the game, no one ever wins! Is it just too easy? Maybe we need to invent tic tac toe with more than 9 spaces? Or, if you have any other ideas for quick games you can play like that with just a piece of paper (or placemat) and a writing utensil, let me know! I know the one where you make a grid of dots and take turns drawing lines to make squares, but I would love some other time-fillers like that! 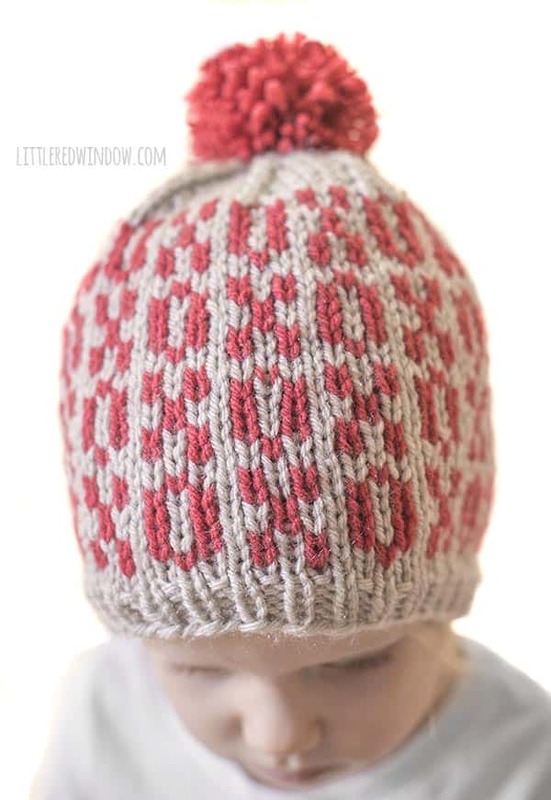 If you knit up a Valentine Tic Tac Toe Hat in some cute Valentine colors, please share it with me. I love seeing what colors you guys choose (and bonus points if you send me a pic with it ON a cute baby so I can get my baby fix). 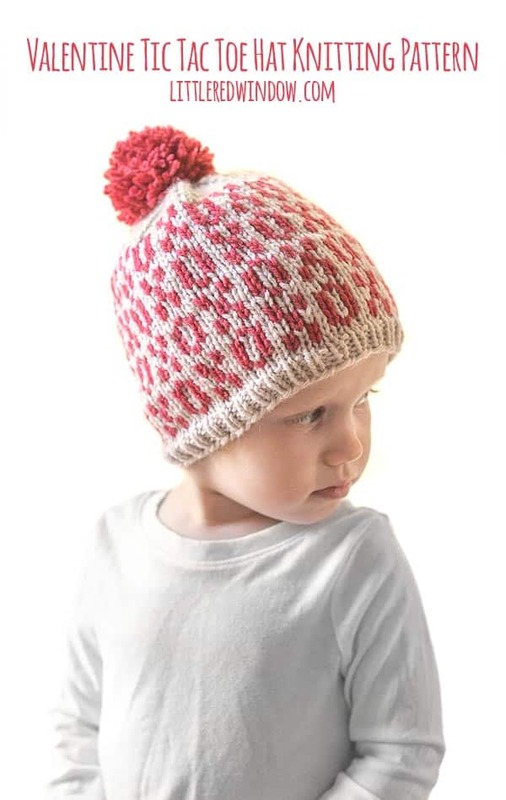 Thank you for all the fun hat patterns! 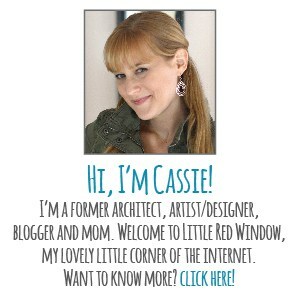 I’ve made a few different ones and find them easy to follow and the resulting hats are adorable!